Regional public organization “Al Masar” and Islamic Cultural Center in Odessa in headed by Sheikh Imad Abu Alrub organized the dinner or how it’s also called Iftar which in Arabic means the breaking of the fast, the evening meal during the holy month of Ramadan. In this event took part a lot of people among whom were representatives and leaders of various national and cultural societies, Muslim religious leaders of Odessa and even a Sheikh from Egypt. As an invited guest was present the head of the Internal Policy Department of Information and Public Relations of the Odessa City Council Bayzhanov Albert Ivanovich. Opening remarks said Sheikh Imad Abu Alrub, welcomed everyone, highlighted the activities of the Committee on protection of rights and freedoms of citizens “Shield” and Charity Fund “Assalam”. 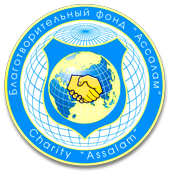 Organizers also prepared video report on the activities of the regional public organization "Al-Masar" and the Islamic Cultural Center in Odessa. This video shows in detail the robot to these organizations. As the last rays of the hid everyone read a pray Al-Maghrib. And then on the tradition they start to brake one’s fast with date on palms and water. Because in the words of the Prophet Muhammad you need to break the fast with date palms and if you do not have them then only with water, because it truly cleans. After the prayers and breaking the fast all the guests all together gathered near the table, where was a lot of different dishes of Arabic national cuisine. Each guest by himself picked the food he wanted. And after all Iftar passed in very hospitable and friendly atmosphere.